Lahore, The great move is done through the ICC Test Championship to restore cricket in Pakistan and Sri Lanka is now agreed to play the test series in Pakistan. 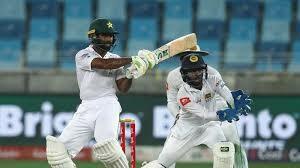 Sri Lanka Agrees to Play Test Matches in Pakistan. According to the sources, on the suggestions to pay two test matches in Pakistan on the request of PCB, Sri Lanka has given the positive gestures. After more discussion in this regard, this suggestion will be given final shape. ICC is going to manage the ICC test championship and PCB has shown its desire to conduct two test matches with Sri Lanka in Lahore and Karachi. The PCB officials are trying to convince the Sri Lankan cricket board to send their team in Pakistan. After the hopeful response from Sri Lankan cricket board, the PCB officials are sure that the matters will be settled soon. The ICC officials are pleased with the security situation in Pakistan and the successful holding of the PSL matches in Pakistan and they have given the indications if the boards discuss with each other and they are agreed to play the matches, then ICC will have no objection over it. On the other side, Pakistan Cricket Board is doing the negotiations with Bangladesh Cricket Board, in which the option is given to play against UAE in Pakistan. There are more chances that the matches with Bangladesh will be played in UAE. Pakistani national cricket team will tour to Australia to play two test matches of the ICC Test Championship. In the test championship, nine teams are going to play and the final test match will be played between two top teams in 2021.